This fall Aaron and I had our pictures taken…yes, the photographer had her portraits done! A big thank you to my photog bestie, miss Shelley Coar for seeing and helping create my vision. The last few months for my business have been dedicated to rolling out my new messaging as a wedding photographer. I am a spirited photographer for indulgent and sophisticated brides. So with the help of Shelley, and Kori Schell of AK Studio doing my hair and makeup, we setup an indulgent and sophisticated night out. 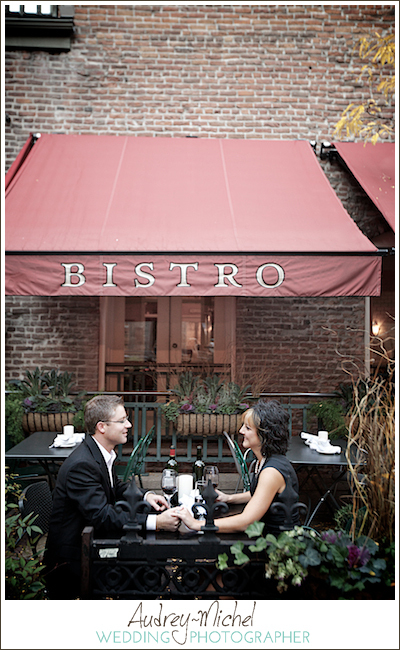 We shot at Bistro Vendome, a French restaurant in Larimer square. Their patio has an adorable European charm where we could sit with a glass of wine…which we LOVE. After the sunset we went for a walk along Larimer, the street is vibrant and full of high end shops and restaurants, I am super excited about how it photographed, very urban! Next we had dinner. Bistro Vendome was really helpful , they gave us a spot next to the window where Shelley could shoot through the glass. PERFECT! I love the idea of ending a photoshoot with a date. Why not? I’ve got my hair and make up done, my hubby is all dressed up… might as well have somewhere to go! 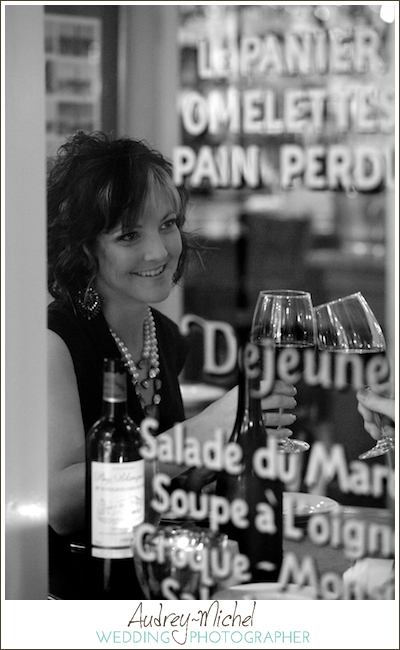 Thanks again to Shelley Coar, Kori Schell, and Bistro Vendome for hosting our Date Night Photoshoot!